Sandals were never really my thing. In the summer time, I would rather trade in the strappy, open toe flats for lightweight sneakers. I think my tomboy side really comes out during the summer time. Don't get me wrong, I love braided and jeweled sandals but it's so difficult to find the right ones that are affordable. Well, thank god for the new "ugly sandals" trend. Inspired by the 90's, these bulky/granola shoes are making a huge comeback in the fashion world and I'm loving it! I'm a 90's girl, what can I say. 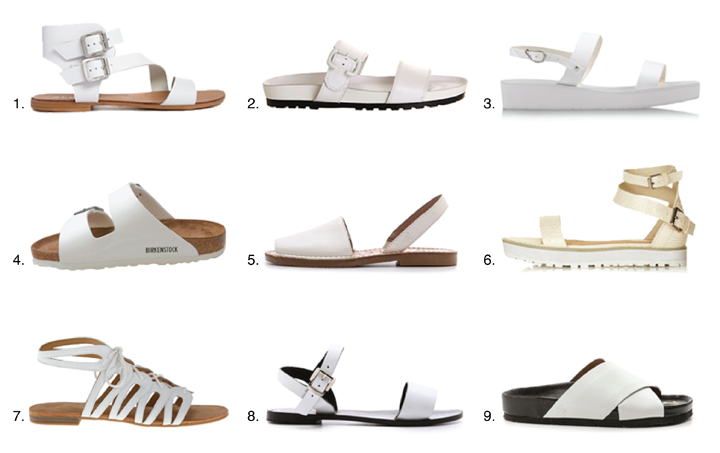 For my summer Must-Haves list, I included a variety of "ugly sandals"that are all in white — I've been digging the white lately. Are you feeling the new trend? Hehehe I love the hashtag. It's so true, they're ugly but cute! I like #8 the most :). Movement: What Do You Really Really Want For Girls And Women?